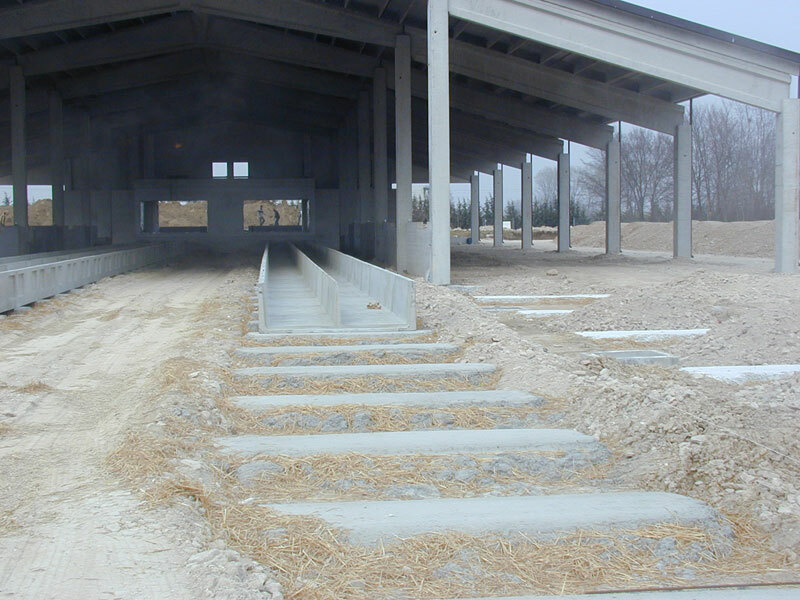 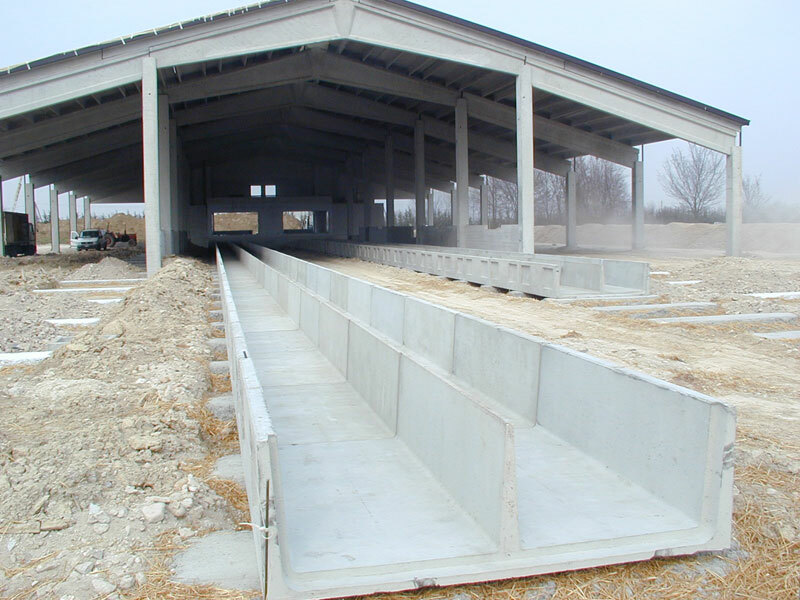 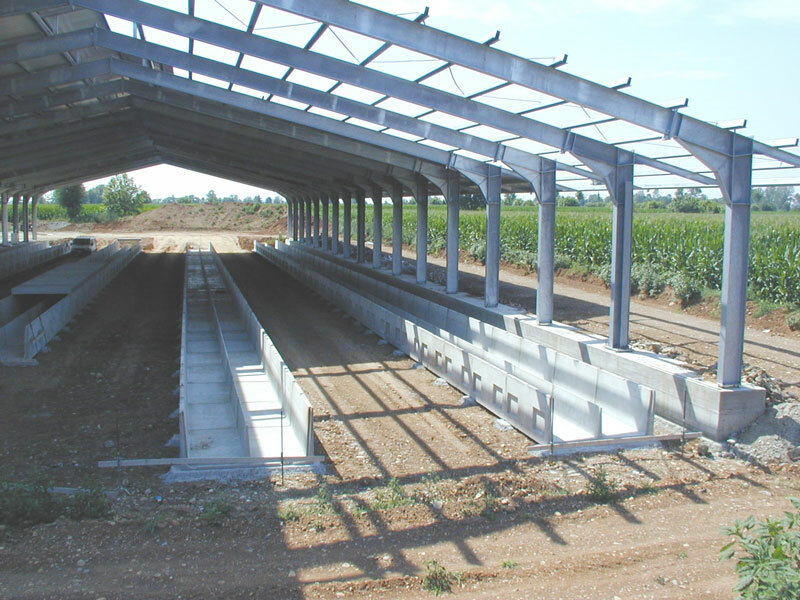 We produce concrete grid supporting structures, creating 3 different types of prefabricated structure for cattle which can be adapted according to the needs of the customer. 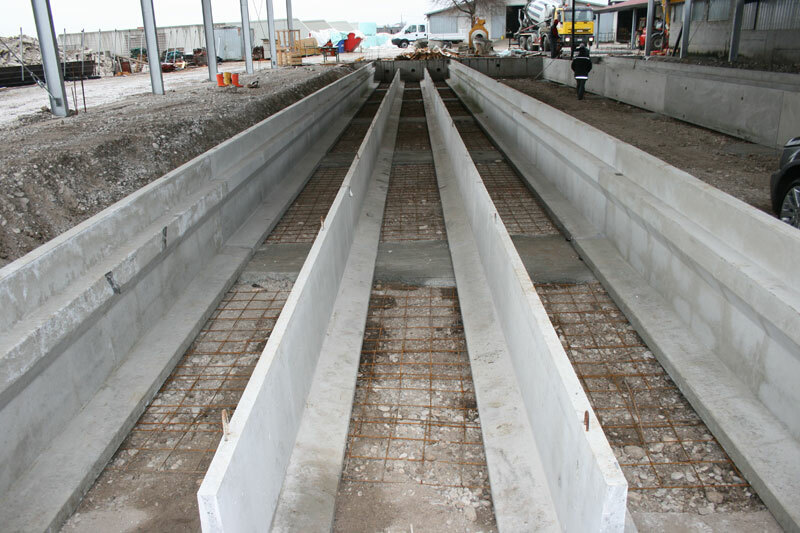 The tank is a prefabricated livestock structure complete with supporting wall and base, which allows a considerable reduction in installation time and only requires the creation of support strips with predefined spacing. 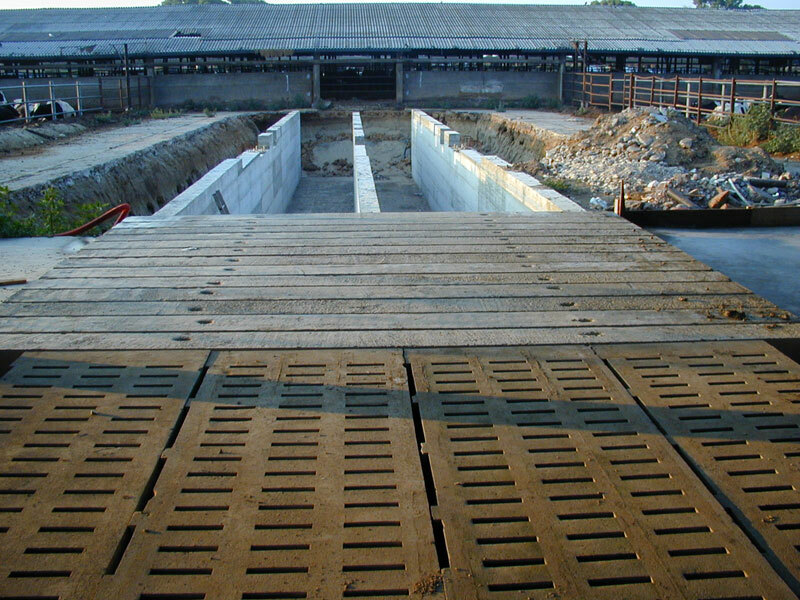 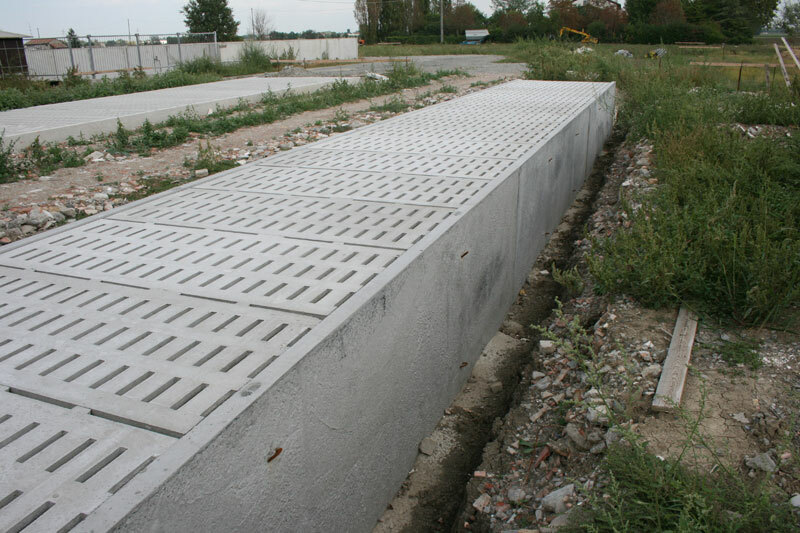 The grid supporting wall is a concrete agricultural structure designed to allow both the support of the grids and that of the cubicles. 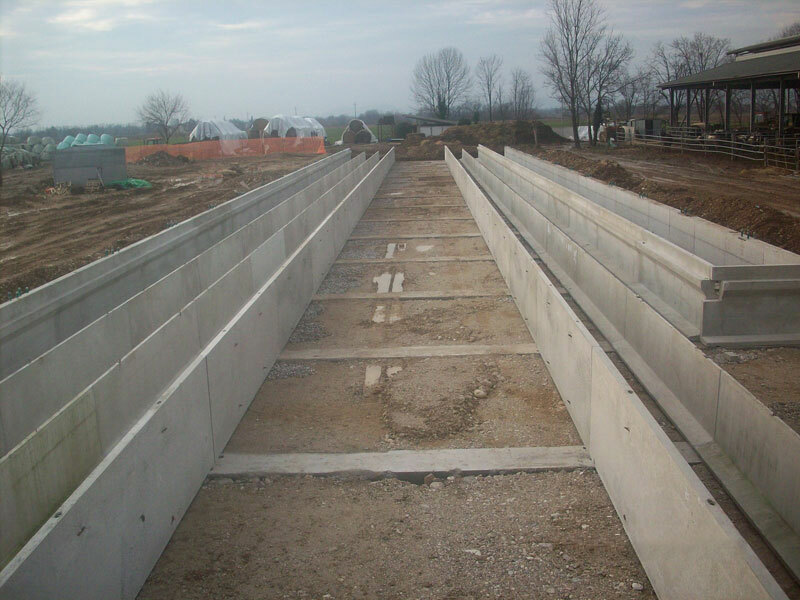 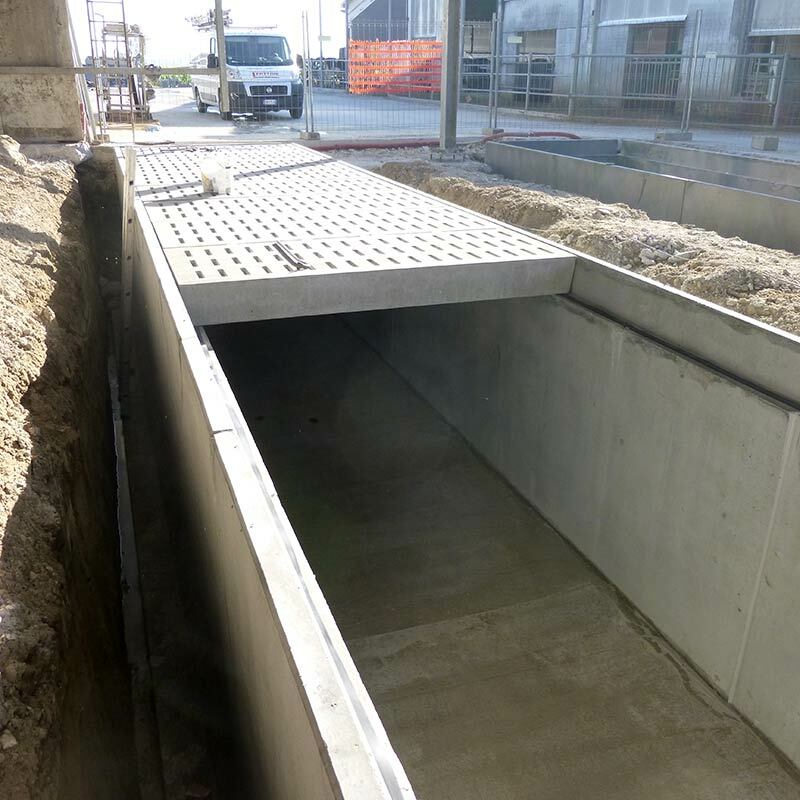 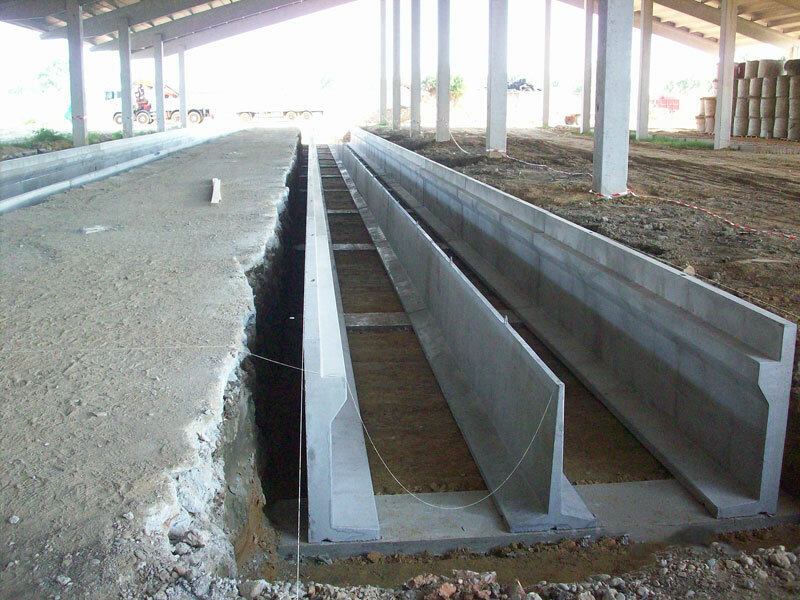 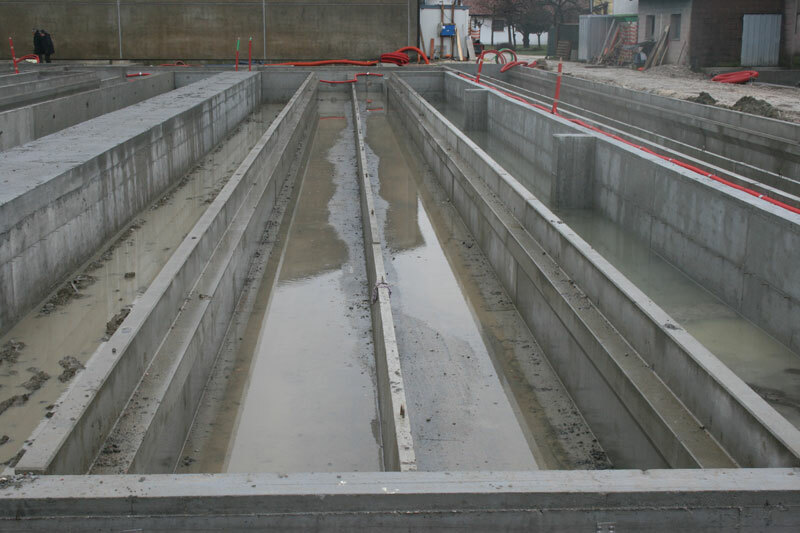 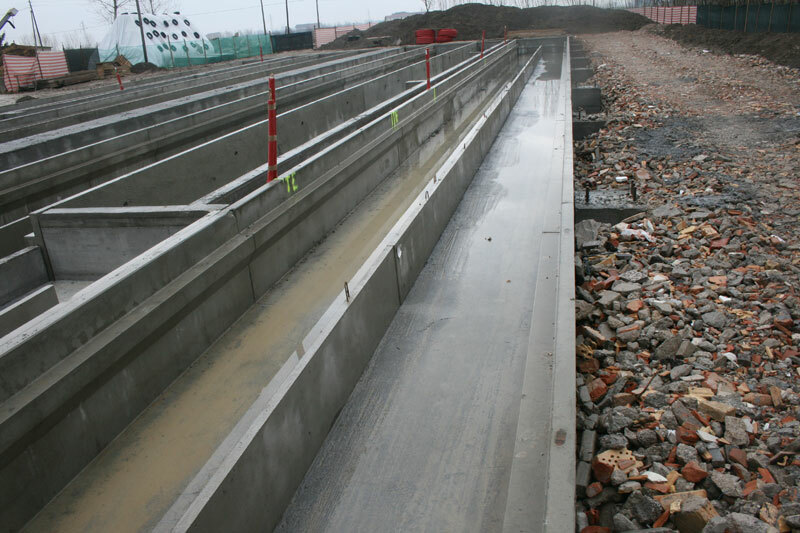 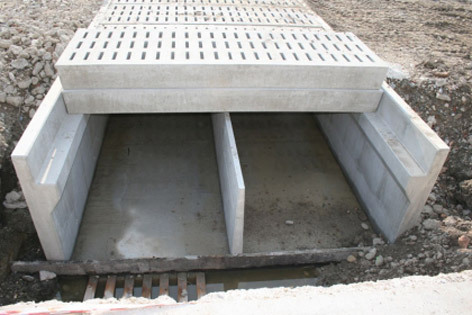 The use of these walls allows the rapid creation of recirculation lanes without the need for compacting the surrounding soil, creating support strips that, once positioned, allow the embedding concrete to be poured at the base. 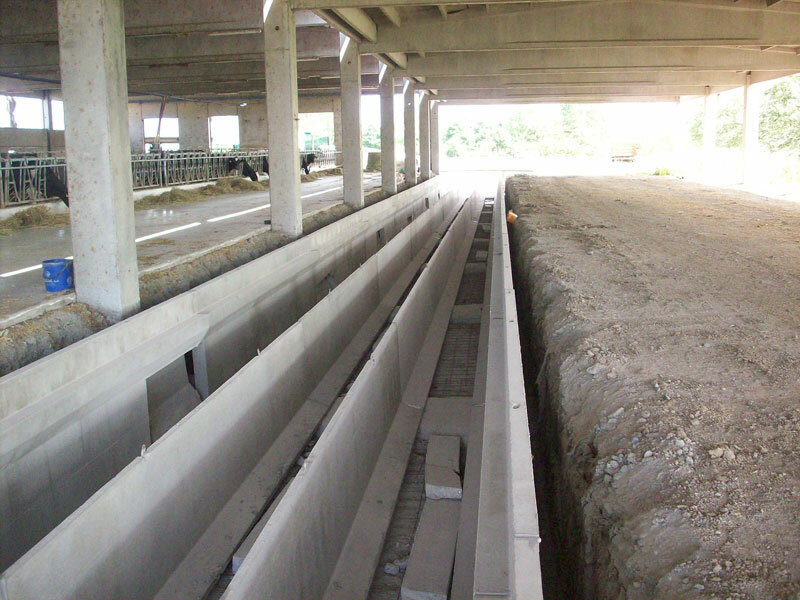 The beam creates a continuous and secure support for the overlying cattle grids and is available in different sizes. 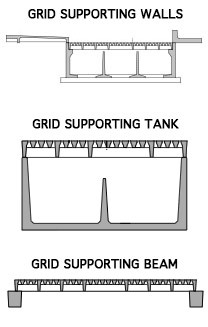 It is therefore a grid supporting structure sized and calculated in relation to the needs of the customer.